In the article Interpreting Spiritual Dreams I discussed how nighttime is a rich opportunity to experience states of higher consciousness and the accompanying bliss these state invariably induce. Below I share with you my recent experience with supreme consciousness and sheer bliss. Lately, overnight, the blessings of divine consciousness have been briefly taking place, inspiring me to stay focused on the only true purpose of life, integration with Cosmic Consciousness or God. So again when last night I felt the familiar blissful encounter with the divine state, I did not expect much more than just a gentle kiss before going to sleep. A kiss like that of a mother tucking her child in for bed, or giving him a kiss while he sleeps. Only this time, sleep remained quite disturbed and shortly later the experience of divine consciousness took place again, except this time it was much more intense. When this encounter takes place, the feeling is so blissful, extraordinary and peaceful that what I call the Smile of Buddha, spontaneously and simultaneously takes place (read 7 Rapid Benefits of Kundalini Practice for more on that), and it did this time also. Recalling the teachings of Advaita master Jean Klein, “To follow the scent of Reality,” I attended to the transcendent state with my whole heart and mind. I am familiar with this particular state of consciousness and I know that attempts to modulate it or extend it usually never work and as expected, the state moved on and with it the unearthly bliss. I returned my attention to getting some sleep. J. Krishnamurti, who was also blessed to have such encounters with Infinity and higher states of consciousness (“otherness” as he called it) also confessed to trying to control these states, but not being able to affect them using the mind or other means. So back to trying to get some sleep, I tossed and turned a bit, unaware that the fun was just beginning. Not much time later, consciousness again slipped into a higher state of awareness. Once again filled with bliss and joy. I again gave my heart and soul to it and remained as watchful and aware as I could. The state moved on, but this time it came back again quickly and surprisingly, this new pattern continued for some time. 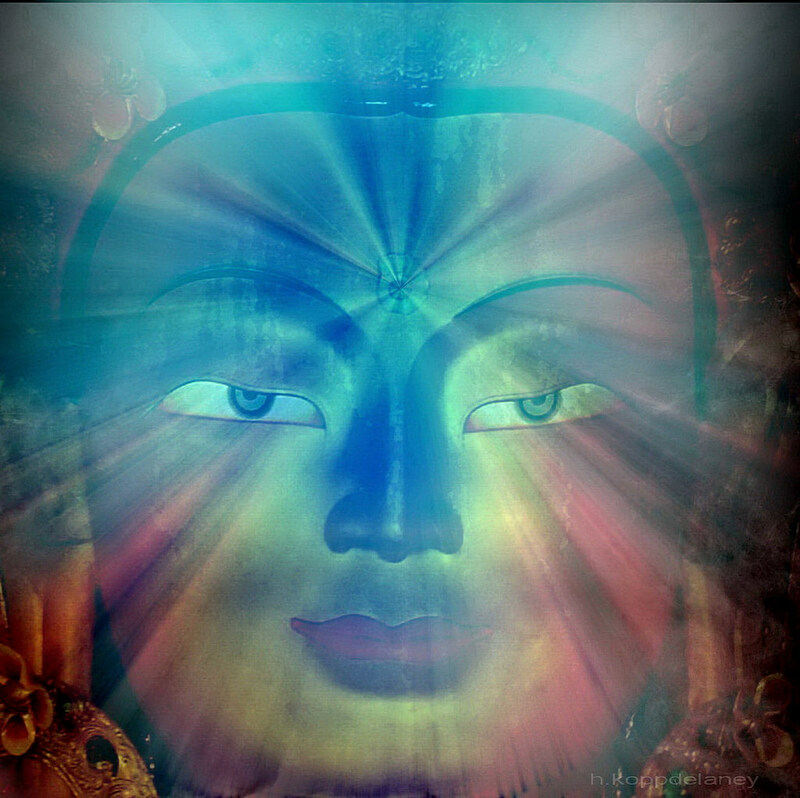 Consciousness would slide into the enlightened state and then come out again, only to slip back in some time later. Things only got even more interesting from there. Soon I felt the familiar bliss which accompanies a buzzing energy in the body and inner ears. This energy (kundalini), I know well and I also know that this state I can modulate and control. Well at least to a point. The bliss associated with this state in quite intense and increases when I allow myself to surrender more and more to the energy. So as I did that the energy grew dramatically and, as expected, it started to dominate my entire consciousness. I spent quite some time playing in this state, lost in pure bliss. From past experience I knew that if I allowed it, this energy will completely overcome my consciousness and “I” would be no longer be there to control it. It is scary to the ego to be thus dispelled, and I reached over towards my wife. If I held her, then disappear, she would be there to bring me back . She knows of these experiences and I have prepped her about them. Unfortunately, in my semi-sleep state I forgot my 2 little boys had cannibalized her and sleep with her in our bedroom now, while I sleep alone. So there went my safety net, thus forcing me to play with the energy more conservatively. This went on and at some point I drifted into asleep still connected to Higher Consciousness, still in bliss. Here dreams mix with the enlightenment states and are colored by them. I dreamt of looking at a wet road from a stopped car window and as I looked at this most ordinary of scenes, the real experience of profound beauty overwhelmed my mind. The beauty was so extreme that the accompanying bliss was almost unbearable. Teaching from the Mystic Master Osho floated into my consciousness. “Even too much bliss, the body can’t bear,” he would say. This was now true and the bliss becomes almost too much too handle. Eventually this passed, but the higher states of consciousness continued on and influenced other dreams all night. Zen Master Shunryu Suzuki says something very interesting about enlightenment and higher states of consciousness. He says that for the outsider it seems very special, but for those that have it, it is not so special. Well… maybe it is slightly special , but really he is spot on here. There is nothing you can do with your enlightenment, it’s there when it’s there, but yet without it life is meaningless. The analogy he uses to explain this point is that of children and a mother. Just as children might appear very extraordinary to the onlooker who does not have them, to the mother they are her children. Special yes, but at the same time simply an integral and regular part of her life. Sat Chit Ananda (Being, Consciousness and Bliss) are the Ultimate Truth and the Ultimate Reality. How are they encountered and realized? They are the outcome of living a particular way. Although I will go into my thoughts on what makes higher states of consciousness more available to us in another article, for now I want to say that for sure that meditation is helpful. Just reading accounts of bliss sends me into a blissful feeling, with my crown chakra stimulated so that I can sense something like the hairs on the top of my head moving ever so slightly, and this has happened reading many of your anecdotes. Thanks!